Thirty people, including dismissed policemen, military officers, clerks and Hatay Metropolitan Municipality staff, have been detained for their use of a smart phone application called ByLock, the state-run Anadolu news agency reported on Thursday. 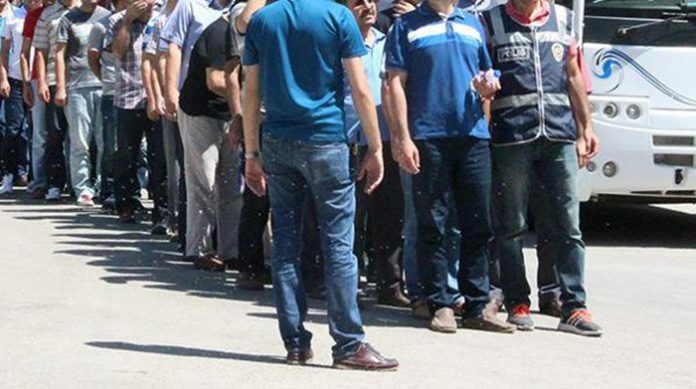 The suspects, who were fired from their jobs by state decree, have been detained as part of an investigation launched by the Hatay Chief Public Prosecutor’s Office into supporters of Turkey’s Gülen group. Turkish authorities consider ByLock to be the top communication tool among followers of the Gülen group, which is accused by the Turkish government of masterminding a failed coup attempt on July 15, 2016. The military coup attempt on July 15 killed over 240 people and wounded more than a thousand others. Immediately after the putsch, the Justice and Development Party (AKP) government along with President Recep Tayyip Erdoğan pinned the blame on the group.